Regimental Crests are symbolic emblems which depict an Army regiment's historical past. Each item on the crest serves to symbolize an event, battle, location, deed etc. that the regiment or parts of the regiment experienced. Different units composing the regiment usually have their own distinctive crest, which is primarily composed of elements from the parent regimental crest. The link below displays regimental crests for Army Air Defense. This page is in a developmental process. The Society's goal is to collect and display all crests worn by all Nike Ajax and Hercules units, to include Regular Army and National Guard. 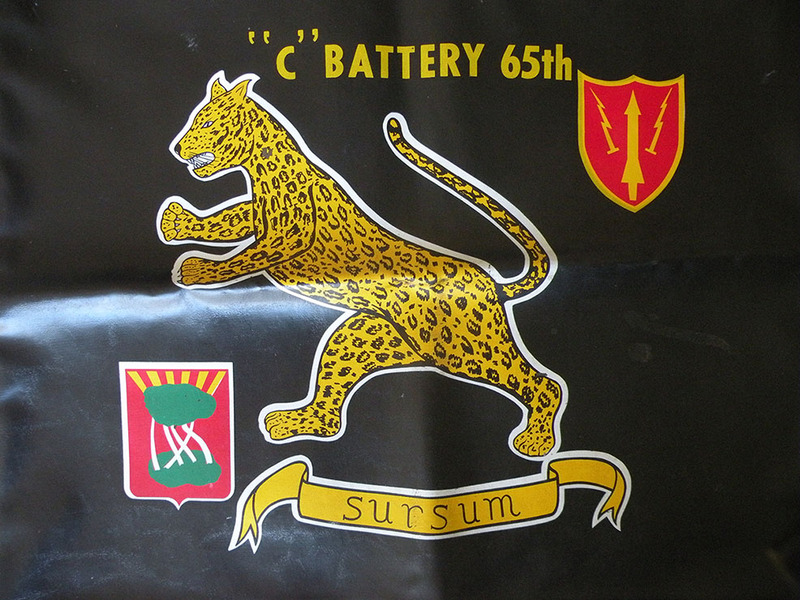 Along with the crests, we plan to list the lineage for each unit, battalion, and battery. This project will take some time and effort. Anyone out there that can help out, please contact our historian at historian@nikemissile.org . The Society thanks James Rhodes for the suggestion and inspiration to create this page. Greg Brown contributed this picture of a mess hall chair cover that was used at LA-88. He was stationed there from 68-71. He says: "I donated this article to the NPS SF-88 site some years back. It was recently  returned to me by NPS. This may bring back a memory to anyone who was stationed there."